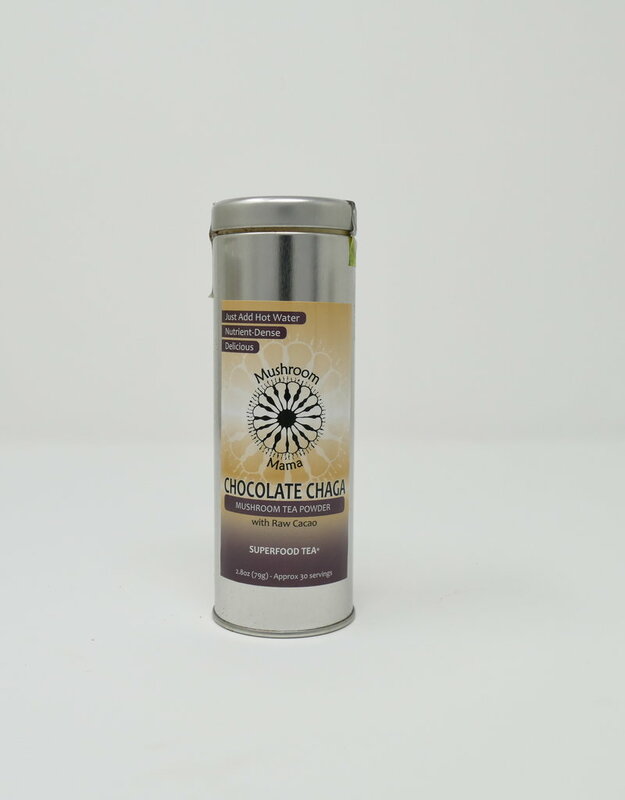 Chocolate Chaga is a dynamic combination of organic medicinal mushrooms and spices designed to assist the body in so many ways. 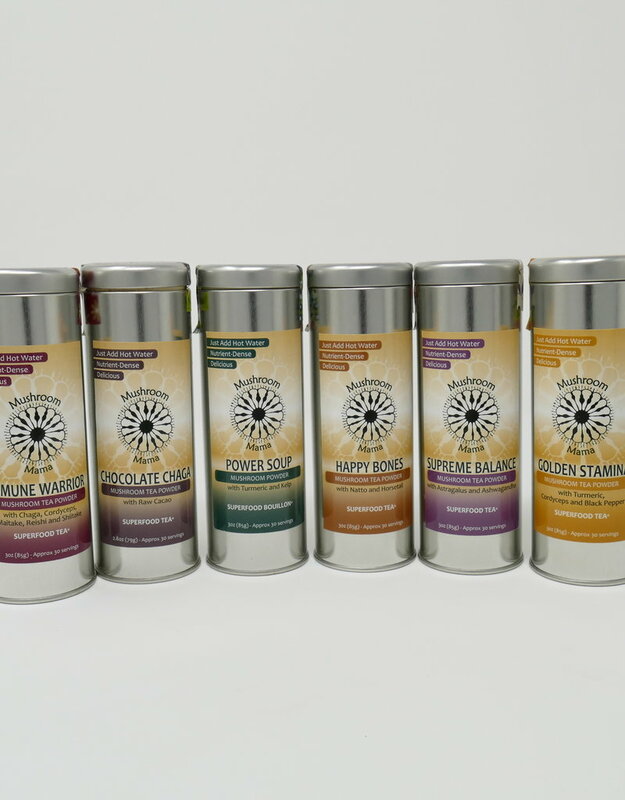 Chaga helps increase the body's immune response while Turkey Tail provides support for the digestive system. Cordyceps is especially useful in alleviating fatigue and Maitake helps supports a healthy immune system, blood pressure and cholesterol levels. Reishi has been shown to assist in improved blood circulation and increased heart health. Shiitake is nutrient dense and Lion's Mane offers nerve-regenerative support. And finally cinnamon which has the highest anti-oxidant strength of all foods in nature for healthy circulation.